I love taking pictures. There’s something about capturing moments. I use a couple of programs when I edit my photos and I wanted to share one of the ones I use – Fotor. It has some fun features and I’d like to share 3 of them with you. You can do all of your editing right in fotor. From contrast and brightness to cropping and resizing. You can also change the color and add effects. Every thing you need is in one place to edit your pictures. There are even filters ‘for all seasons’. I know that sometimes the weather or lighting isn’t what I hoped for and these effects can often salvage a shot and make it look even better. Not to mention some of these effects are just plain cool. Spice up your life with Fotor’s Posters. With Fotor’s amazing poster you can unleash your creative potential and share your message with the world. Create, design, modify and enjoy to produce simply stunning results. This tool is so handy for making banners, fliers, and more. It really gives you that professional look. The collage maker is so fun especially for Instagram and other social media channels. You can put together many photos into one and get really creative with your designs. Have you ever been somewhere and taken so many pictures that you just want to share them all? I feel like I do that a lot. 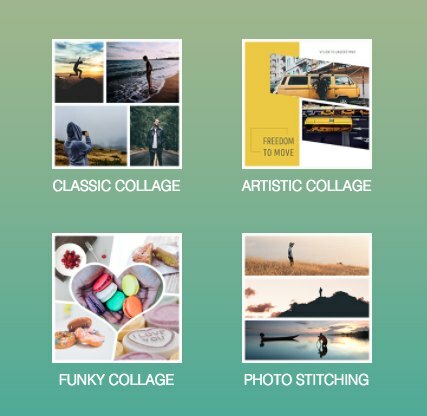 The collage is a great tool to share 9 photos in 1 so you’re not overloading your friends with all your pictures. And that’s just 3 things you can do with Fotor. There’s so much more!